Gesellschaften definieren sich nicht nur über ihre Werte und Visionen, sondern auch über ihre Beschwerden. Während der industrialisierte Mensch des Fin de Siècle an Nervosität litt, steht die Leistungsgesellschaft seit den 1960er Jahren zunehmend unter Stress. Der Stress wanderte von der Mechanik über die Biologie und die Militärpsychiatrie in die Chefetagen der aufkommenden Managerklasse und wurde im letzten Drittel des 20. Jahrhunderts zur Pathologie des flexiblen Menschen schlechthin. Zentral für das Stresskonzept ist die Vorstellung einer dynamischen Anpassung. Der Mediziner Hans Selye hatte die Adaptation des Körpers an schädliche Einflüsse als hormonell gesteuerte Anpassung formuliert; er nannte diese Anpassung 1936 General Adaptation Syndrome und verhalf dem Konzept unter dem Begriff "Stress" in der Nachkriegszeit zu wissenschaftlicher Resonanz. In der aufkommenden Leistungsgesellschaft wurde diese biologische Anpassungsfähigkeit lebensweltlich interpretiert. Stress wurde zum Ziel einer Reihe von Interventionen und Selbsttechnologien: Ratgeber und Kuren, Waldlauf, autogenes Training, Wellness und gleitende Arbeitszeiten sollen eine dynamische Anpassung an die diversifizierten Anforderungen des Berufs- und Privatlebens ermöglichen. Mit dem Stresskonzept konnte das mechanische Verhältnis zwischen Erholung und Kollaps des Industriezeitalters flexibilisiert werden. War der Human Motor Belastungen ausgesetzt, die ihn ermüdeten, wurden Stress und Stressbewältigung zum zentralen Dispositiv der auf Human Capital setzenden Dienstleistungsökonomien. Leistungssteigernde Erholung ist seither Ziel einer Körperpolitik und Selbstverpflichtung, die bis in die Stretch-Kleidung der Aerobic-Bewegung dem Prinzip Elastizität folgt. Wird nicht für adäquate Regeneration gesorgt, droht das Burnout. Aber nicht nur Individuen haben Stress, sondern auch Ökosysteme, Finanzmärkte und Atomreaktoren. Stresstests simulieren das Verhalten eines Systems unter Extrembedingungen und wissenschaftlich-technische Entlastungskonzepte generieren optimierte Systeme, die sich immer größeren Risiken gegenüber als "resilient", robust und adaptationsfähig erweisen. Folgenabschätzungen, Pufferzonen, Sollbruchstellen und Rückversicherungen sollen qua Antizipation den ständig drohenden Kollaps abwenden. Ziel des Workshops ist es, aus historischer Perspektive Genese, Anschlussfähigkeit und Reichweite des Stresskonzepts in der zweiten Hälfte des 20. Jahrhunderts zu reflektieren. Dabei sind vor allem Ansätze willkommen, die auf Interdependenzen ökonomischer, politischer, technischer und sozialer Wissensbereiche fokussieren. Welchen Transformationen unterlag die Beziehung zwischen Subjekt, Arbeit und Freizeit von den Konzepten einer rationellen Betriebsorganisation über die kybernetische Utopie einer Befreiung des Menschen durch Automation bis zum life-long learning, den Assessments und der Evaluationskultur in der postindustriellen Gesellschaft? Welche Konjunkturen hatten Konzepte des Belastungshaushalts, der Adaptation, des dynamischen Gleichgewichts und der flexiblen Stabilität innerhalb von biologischem, ökologischem, psychologischem und politischem Regulierungswissen? Mit welchen Maßnahmen und Selbstpraktiken hat man auf den Stress reagiert? Wie wurde Stress – als Funktionszusammenhang von Ressourcenökonomie und Leistungseffizienz – zu einem zentralen Konzept in so unterschiedlichen Gebieten wie der Ökosystemtheorie, der Toxikologie, der Materialforschung, im Katastrophenmanagement oder im Finanzwesen? Studien zum Stressmanagement in der Betriebsorganisation und in den Lebenswissenschaften sind ebenso willkommen wie Untersuchungen zu Utopien der Stressfreiheit, zu Praktiken der Stressbewältigung und zu sozio-technischen Kompensationsarrangements. Die Tagung wurde vom SNF – Schweizerischer Nationalfonds zur Förderung der wissenschaftlichen Forschung, von der Professur für Technikgeschichte der ETH Zürich sowie vom ZGW – Zentrum Geschichte des Wissens der ETH und Universität Zürich finanziell unterstützt. Publikation des Themenhefts: "Stress!" 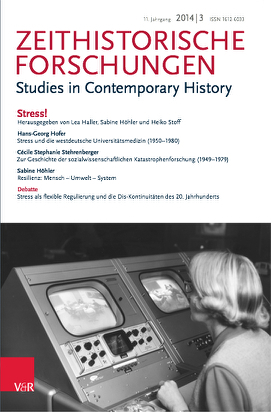 Zeithistorische Forschungen/Studies in Contemporary History 11 (2014) 3. In the late twentieth century, concepts of diversity gained momentum in the life sciences – they proliferated in population studies, ecology and genetics as well as in the biomedical sciences. With the Human Genome Diversity Project, the HapMap Project, natural heritage databases, and the declaration of the International Year of Biodiversity in 2010 we witnessed a veritable celebration of diversity on multiple levels, implying that diversity is a key feature of life (human and non-human), an economic resource, key to biomedical knowledge, and key to survival in ecology. Spurred by genomics and information technologies, the life sciences generate, measure, and track markers of difference to an unprecedented extent. From epidemiology to biodiversity research, late twentieth century technologies of difference production and large-scale infrastructures bring about new modes of categorizing, grouping, and managing populations. The workshop explores the modes and technologies of differentiation at work in the production of difference/diversity in the late 20th century. Beyond diversity as a discursive figure we will focus on the technologies that have crucially stimulated research in late twentieth century life sciences, in particular in biomedicine and ecology. Albeit the two fields address distinct levels (diversity within species, diversity of species and habitats), they involve similar frameworks and practices in knowledge production – co-shaped by "big science" projects, information technologies and New Genetics. In both fields, data accumulation and storage through digital technologies were accompanied by earth-spanning research projects and endeavors to monitor life: new levels of international communication and cooperation emerged within the sciences after World War II, and newly founded international organizations established the necessary political relations to coordinate highly distributed but networked research on the institutional level. Whether in biomedicine or nature conservation, concepts of diversity rely on technologies of differentiation. The workshop's main focus will be on the developments since the early 1970s when information technologies and electronic infrastructures began to speed up data processing and exchange in the life sciences. Drawing on poststructuralist and postcolonial theory as well as science studies' approaches to material practice will move discussions beyond disputing the correct or appropriate uses of diversity and taking sides hailing or disclaiming difference in biomedicine and ecology. Rather, we expect theoretical tools to help us deepen our understanding of the intricate relations of data – difference – diversity and their entanglement in technological infrastructures, medial constellations, and sociotechnical assemblages. The workshop is part of the Independent Research Group III "Historicizing Knowledge About Human Biological Diversity in the 20th Century" at the Max Planck Institute for the History of Science in Berlin. Forestry comes up in the early fiscal state's cameralistics as part of the origin of "sustainability". Carlowitz focused on avoiding the scarcity of wood in his Sylvicultura Oeconomica of 1713. Forests began to be cultivated according to economic principles to maximize yield and revenue to ensure a strong state. Accounting techniques were introduced, requiring close monitoring and registration, normalization, and statistical aggregation of individual objects in nature. From scientific forestry to present forest certification systems, such accounting practices created modern natural-scientific objects subject to control by national and transnational political and economic regimes. This conference explores the ways that nature has been aggregated, normalized, and governed; different formulations of environmental governmentality in economic and technoscientific administrations of nature will be addressed, bringing regional-, national-, and global-scale perspectives into the analytic frame of biopolitics. The following questions are intended to spur a historically informed, thought-provoking discussion of "sustainability" as the tricentennial of the concept approaches. 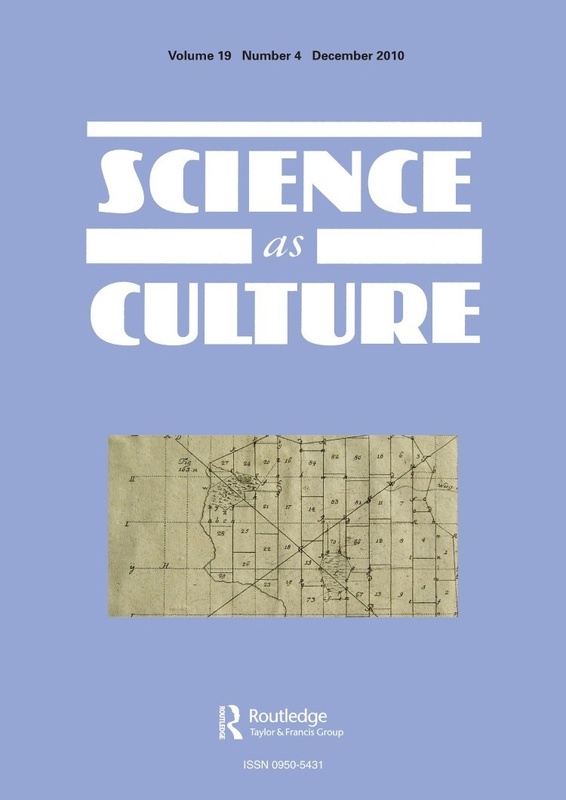 Ausgewählte Beiträge wurden als Special Issue der Zeitschrift Science as Culture 19 (2010) 4 publiziert. National parks can be seen as an essentially Western concept of ordering space and the relationship between humans and their environment. Over the last century, they have become a truly global institution. The 2003 UN-List of Protected Areas features nearly 4000 National Parks located all over the world. Ever since the United States started designating large areas to the preservation of natural wonders, the idea of relegating "Nature" to the confines of a "park" and assigning it the status of a national heritage has been transferred to a wide range of political, social, and ecological settings. 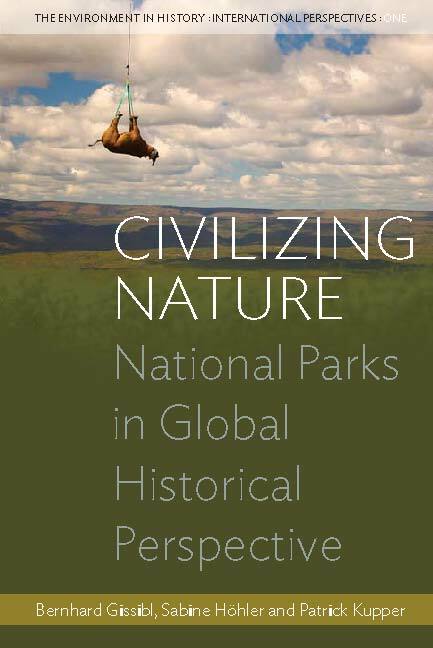 In the course of their global spread, national parks have served as sites for the preservation of scenic landscapes or threatened species, destinations for outdoor recreation and tourism, venues for scientific research, and locations of spiritual renewal. However, they have also been places of fierce contest about conflicting utilisations and perceptions of land and nature, and their creation was in many cases associated with the removal of indigenous residents. The spread of national parks can thus be construed as a means of "civilising nature": they became a tool for civilising "wild nature" into a park, and they were regarded as markers of the advanced, "civilised" state of societies that established them to preserve a spiritual space and give their citizens access to "wild nature". The conference seeks to analyse the global development of the concept of the National Park between its original Western principle and its localizations and adaptations in differing historical, political, social, and ecological settings. 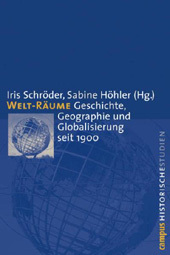 Ausgewählte Beiträge wurden veröffentlicht in einem Diskussionsband mit dem Titel "Civilizing Nature: National Parks in Global Historical Perspective" (ESEH Book Series "The Environment in History: International Perspectives" Bd. 1), New York/Oxford, Berghahn Books 2012 (Paperback Ausgabe 2015). Berghahn Blog: "A Conversation with the Editors of Civilizing Nature"
Der "Umweltraum" wurde Ende der 1980er Jahre als ein Instrument entwickelt, um die Inanspruchnahme einer begrenzten und knappen Natur ökonomisch berechenbar und zugleich anschaulich kommunizierbar zu machen. Der Versuch, Wirtschafts- und Lebensstile in "Umweltverbrauch" umzurechnen, sei eine Möglichkeit, so der ursprüngliche Vorschlag, das Ziel einer nachhaltigen Entwicklung zu konkretisieren und zu operationalisieren. In Deutschland wurde der Begriff des Umweltraums vor allem durch die vor zehn Jahren erschienene Studie "Zukunftsfähiges Deutschland" bekannt. Die Studie wurde sowohl als "grüne Bibel" der Nachhaltigkeit begrüßt als auch als bloßer "Traum vom Umweltraum" kritisiert, der den Wandel der Bedeutung von ökologischer Nachhaltigkeit hin zur ökonomischen Nutzenmaximierung überdecke. Um die Möglichkeiten und die Grenzen des Umweltraumkonzepts auszuleuchten, wurde zum einen die interdisziplinäre Debatte darüber angesto�en, was in den rund zehn Jahren der "Umweltraumrechnung" erreicht wurde und welche Probleme erkennbar geworden sind. Zum anderen wurde der Bezug zur Globalisierungsdebatte beleuchtet. Das Konzept des globalen Umweltraums erweitert den vorherrschend nationalen Fokus auf Probleme globaler Gerechtigkeit. Insbesondere das aus den hohen Emissionen und dem hohen Ressourcenverbrauch des Nordens resultierende globale "ökologische Defizit" wirft Fragen nach der internationalen Verteilung von Verantwortung auf. Insofern galt es zu prüfen, ob und wie die dem Konzept zugrunde liegende wissenschaftlich-technische Rationalität normative Positionen verbirgt oder ausschließt. Einbezogen wurden bislang wenig beachtete wissenschaftsgeschichtliche Perspektiven, um die grundlegenden wissenschaftlichen Prämissen des Umweltraumes zu verstehen und zu ermitteln, was diese Art der Kalkulation leisten kann, was sie hervorhebt, und was sie zugleich unsichtbar macht. Forschende, die die Diskussion zum Konzept des Umweltraums mit geprägt haben, kamen ebenso zu Wort wie Wissenschaftlerinnen und Wissenschaftler, die heute selbst mit diesem oder weiterentwickelten Konzepten ökologische Problemstellungen bearbeiten oder die den wissenschaftstheoretischen und -politischen Implikationen dieses Instruments nachgehen. Alle reden von der "Globalisierung", doch die Frage, was genau damit gemeint ist, wird oft nicht gestellt. Aktuelle politische Auseinandersetzungen beziehen sich auf die kommunikationstechnisch gestützte ökonomische Verklammerung großer Teile der Erde bei gleichzeitiger Zersplitterung tradierter Lebensgefüge und interpretieren sie als Wegmarken der sich gegenwärtig rapide verändernden Welt. Unabhängig von einem jeweils eher kritischen oder eher affirmativen Gestus erscheint Globalisierung als evident, unabwendbar und sogar unhintergehbar. Diese 'Evidenz' ist jedoch fragwürdig, da Globalisierung hiermit allein auf gegenwärtige Phänomene und auf die nahe Zukunft reduziert wird – eine Reduktion, die problematisch erscheint. Neben der Geschichtslosigkeit gerät die eigentümliche Raumlosigkeit der Globalisierungsdebatte in den Blick, denn die Beschleunigung technischer und ökonomischer Prozesse wird eher als Überwindung des Raumes thematisiert, deutlich seltener jedoch hinsichtlich der hinzu gehörigen Veränderung von Räumen, von Raumbezügen und Raumordnungen. Im Workshop wurde die in den Sozial- und Kulturwissenschaften sowie in der kritischen Geographie seit kurzem zu beobachtende Konjunktur des Raumes aufgegriffen, um die Selbstverständlichkeit zu hinterfragen, mit der – wenn überhaupt – Raum und Raumbegriffe im (historischen) Globalisierungsdiskurs firmieren. Ziel war es, anhand der Kategorie Raum und ihrer historischen Verschiebungen das Phänomen der Globalisierung in seinen kulturellen sowie in seinen konkreten materiellen Dimensionen genauer zu erfassen. Der unscharfe Begriff der Globalisierung wurde in seinem Wortsinn präzisiert als zeitlicher Verlauf der verschiedenen kulturellen Arbeiten am Raum, durch die der Globus auch jenseits des Erdkugelmodells als 'Verdichtung' sichtbar und operationalisierbar werden konnte. Die verschiedenen historisch zu beobachtenden Prozesse und Projekte der räumlichen Expansion und der Begrenzung bilden ein Spannungsverhältnis, das bis heute die Globalisierungsdebatten bestimmt und ihren Gegenstand so prekär erscheinen lässt. Denn die vielbeschworene Integration und Homogenisierung aller Weltteile zu einem grenzenlosen globalen Ganzen einerseits bei gleichzeitig empfundener Fragmentierung der Welt im Streit um begrenzte Ressourcen andererseits kennzeichnet nicht nur gegenwärtige Debatten, sondern lässt sich in das 19. Jahrhundert zurück verfolgen, in jene Zeit also, in der um die Erschließung der letzten "weißen Flecken" gerungen wurde, die Erde aber bereits in großen Teilen geographisch vermessen und wissenschaftlich klassifiziert, verkehrstechnisch durchdrungen und national verteilt und besetzt war. Das 19. und das 20. Jahrhundert stehen für einen Zeitraum, in dem die Wechselverhältnisse zwischen der Begrenztheit des imperialen Ausdehnungsraumes und den erwarteten Möglichkeiten moderner Funktionsräume erfahrbar und für die Vorstellung globaler Endlichkeit und Beherrschbarkeit konstitutiv wurden. In der zweiten Hälfte des 19. Jahrhunderts verfestigte sich das Denken und Handeln in einer wissenschaftlich-technisch zunehmend vernetzten, ja verflüssigten, räumlich jedoch zunehmend territorialisierten Welt, in der das "Globale" immer Stückwerk und mit partikularen Interessen umkämpft blieb.